Highlander, the TV fantasy series aired in syndication only for 60 minutes per episode. It was based on 1986 and 1991 Highlander movies. It starred Adrian Paul as Duncan McLeod, an immortal. The immortals could only be killed by decapitation! If one immortal slayed another, they gained the power of the fallen immortal. Duncan McLeod would have prefered to live a normal life (albeit a long one) but other power hungry immortals were constantly seeking him out in order to slay him for his power. Elizabeth Gracen (Amanda) claimed she had a one-night affair in 1983 will the future President Bill Clinton! Until their first "death", an immortal is identical to a mortal except that they are sterile. They experience normal healing rates and no "BUZZ". The original idea to develop the Higlanders TV series came from a screenplay that Gregory Widen wrote as a screen-writing course project at UCLA. Apparently, immortals don't revive from a "death" until the cause of their death is removed. Example: Nefertiri in episode #40, "Pharoah's Daughter", was 'dead' approximately 2000 years because there wasn't any air in her sarcophagus. In the Highlander series episode titled, "Avenging Angel", it appears that the writers goofed up by staging a fight between immortals on holy ground. Scenes from this fight are actually seen in the opening credits of future episodes as the narrator speaks about holy ground. Actually, the scene was shot at a museum containing religious artifacts from the crusades. The duel between Connor and Bassett took place on Boston Common in 1783. Connor had called Bassett's wife a "bloated wart hog". The castle where Connor MacLeod lived (in the first movie) is the same castle used for the interior shots for Monty Python and the Holy Grail. Each U.S. series episode of Highlander is four minutes shorter than the European version because of the longer commercial time allowed in the U.S. market. We've got to be the rulers of your world. I have no rival, no man can be my equal. 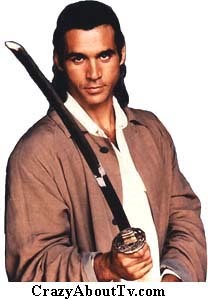 (Version #1 - Adrian Paul's Voice:) "I am Duncan Macleod, born 400 years ago in the Highlands of Scotland. I am Immortal, and I am not alone. For centuries, we have waited for the time of the GATHERING when the stroke of a sword and the fall of a head will release the power of the QUICKENING. In the end, there can be only one." (Version #2 - Jim Byrnes' Voice:) "He is immortal. Born in the Highlands of Scotland 400 years ago. He is not alone. There are others like him. Some good. Some evil. For centuries he has battled the forces of evil with holy ground his only refuge. He cannot die unless you take his head and lift his power. In the end there can be only one. He is Duncan Macleod, the Highlander." (Version #3 - Jim Byrnes' Voice:) "He is Duncan MacCleod, the Highlander. Born in 1592 in the Highlands of Scotland and he is still alive. He is immortal. For four hundred years he's been a warrior, a lover, a wanderer. Constantly facing other immortals in combat to the death. The winner take his enemy's head and with it his power. I am a Watcher, part of a secret society of men and women who observe and record but never interfere. We know the truth about immortals. In the end there can be only one. May it be, Duncan MacCleod ... The Highlander." Thank you for visiting our Highlander the series page!